In The Necessity of Self-Examination, Jonathan Edwards (1703–1758) guides the reader in a thorough search of his thoughts, intentions, words, and deeds. 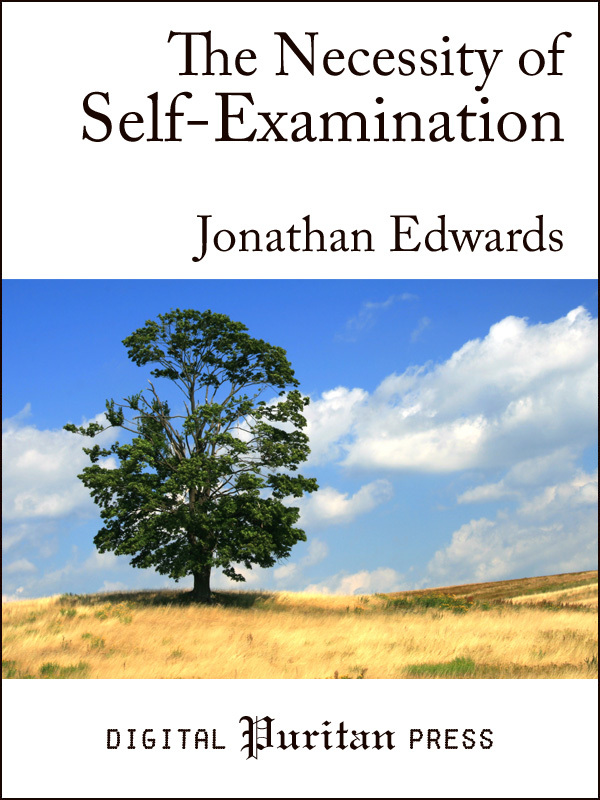 Edwards begins by convincing the reader of the necessity of self-examination, proceeds to show why many living in sin are unaware of it, and finally giving specific directions on how to go about examining oneself. He illustrates this with chapters on self-examination concerning one’s behavior at church, whether any secret sins are permitted, how one thinks of and treats his fellow man, and how one conducts himself in his household. This Digital Puritan edition includes a biographical preface by Gerald Mick and an appendix of seventy-five questions drawn from the text of the book, suitable for quick review or for use in an accountability group setting. Scripture references (in the English Standard Version) are hyperlinked and embedded into the book. No internet connection is required.